Athletic performance improvement depends on a program of exercise to stimulate muscular and cardiovascular adaptation followed by a recovery period in which the body rebuilds itself slightly more fit than before. Thus, the real gain of exercise occurs during recovery, but only in the presence of adequate rest and optimal nutritional support. Carbohydrate and protein replenishment, as soon as possible upon completion of your workout, helps you to get the very most out of every minute you’ve put into training. That’s where Recoverite comes in, providing unsurpassed nutritional support to ensure you obtain the maximum value from your workouts and complete recovery after each training session and race. Recoverite contains only whey protein isolate, which is virtually fat—and lactose—free, and yields the highest percentage of protein. 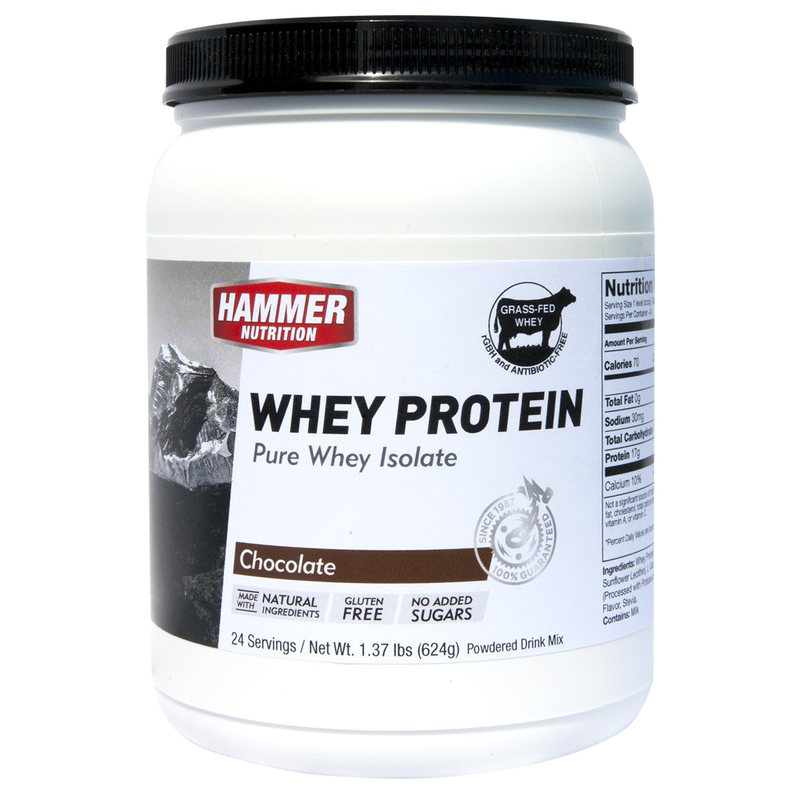 For rebuilding lean muscle tissue and immune system support, whey protein isolate has no peer; it’s simply the purest form of whey protein available. In addition, each serving of Recoverite also contains a potent, recovery-boosting three grams of l-glutamine. How well you recover today will largely determine your performance tomorrow. When you put as much effort into the recovery process as you do for active training, you’re way ahead of the game and you will no doubt enjoy improved performance. Along with adequate rest, it’s vitally important to refuel your body as soon as possible after every training session and race. Using Recoverite, you can be assured that you’re giving your body exactly what it needs. Recoverite is the right product with the right formula to provide your body with the right amounts of the right nutrients, ensuring rapid and complete recovery from all of your workouts and races. 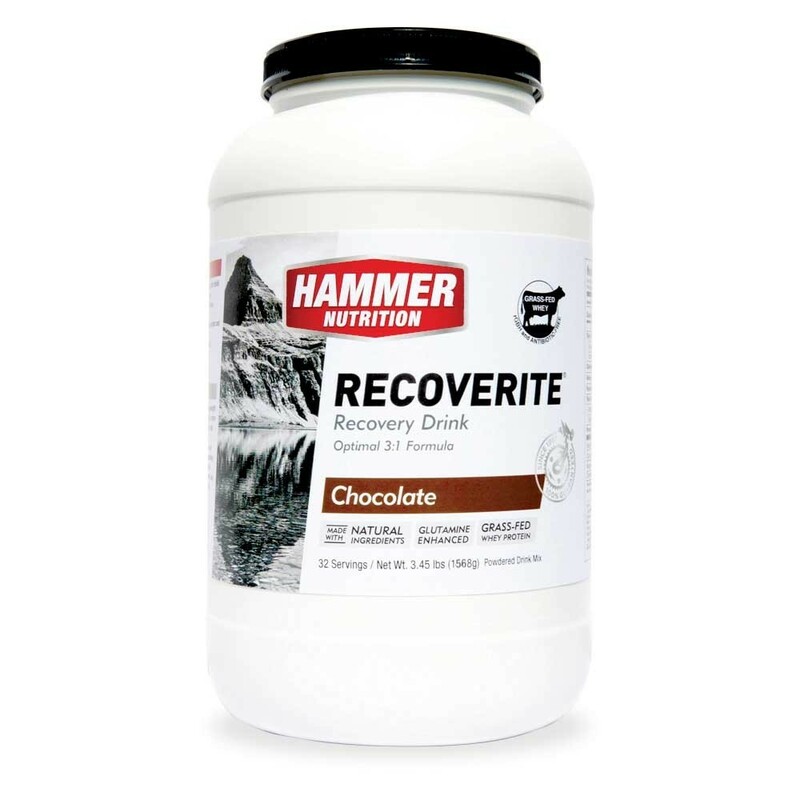 Recoverite recovery drink comes in these delicious flavors: Chocolate, and Strawberry. How well you perform tomorrow depends on how well you recover today, which is why you can’t cut corners when it comes to your post-workout fueling. Recoverite supplies your body with the proper 3:1 ratio of complex carbohydrates and the highest quality whey protein isolate, along with generous amounts of multi-beneficial glutamine (a whopping three grams per serving! ), the potent antioxidant l-carnosine, and a full-spectrum electrolyte profile. The result is rapid and enhanced recovery, allowing you to obtain the maximum value from all your hard workouts and ideally prepping your body for your next workout or race. Make sure you’re recovering right with Recoverite and remember, it makes a superb meal replacement drink as well. Train hard, recover right today, and feel great tomorrow. The amino acid glutamine, plays a vital role in the health of your muscles, immune system, and digestive tract. Glutamine is arguably the key “recovery amino” as it (A) helps boost the immune system, (B) helps to reduce the symptoms of overtraining, (C) plays a role in enhancing glycogen synthesis, and (D) stimulates muscle protein synthesis for the rebuilding of lean muscle tissue. Use immediately following workouts and races to optimise recovery – glycogen replacement, electrolyte replacement, and muscle tissue repair. Recoverite can also be used as a Meal Replacement Product (MRP). Combine the suggested amount for your body weight range in 120 – 250 ml of cold water (or more, if desired), and consume immediately after completion of your workout or event. after exercise. Thus, a reasonable amount of your post-exercise calories can and should be consumed from whole foods. Thats why its ideal to sit down to a healthy meal containing both carbohydrates and protein no more than two hours after the conclusion of your exercise. If this is not possible, additional servings of Recoverite can and should be taken at a rate of one to two servings per hour until you are able to eat a complete meal. To use as a MRP, simply consume 2-6 scoops in place of a meal. If you are using Recoverite as a MRP, you should not replace more than one or two meals per day. 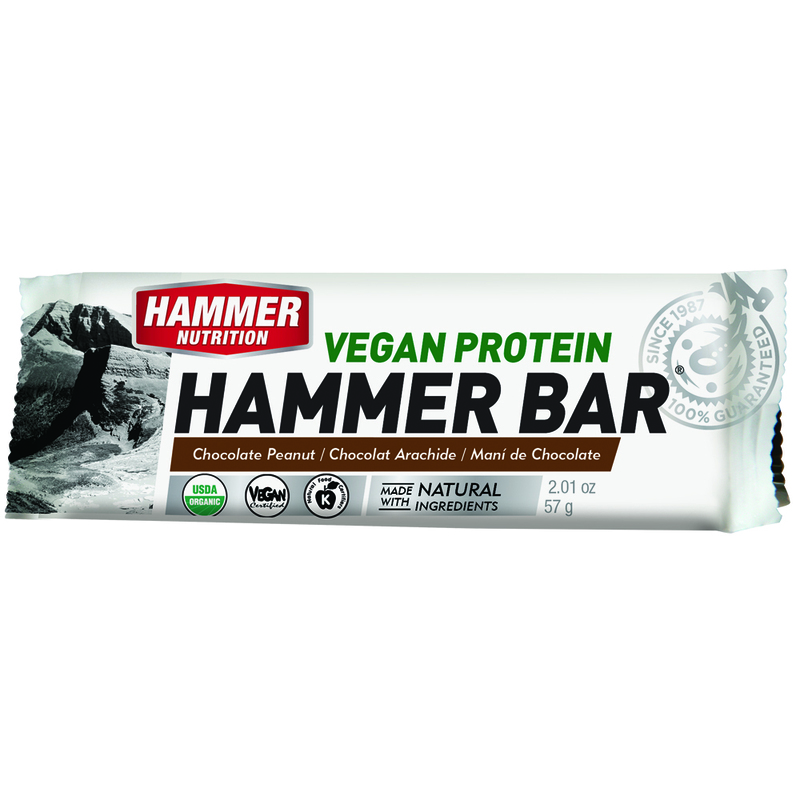 When you compete in multi-day events and stage races it’s important to starts refuelling for your next event / stage as soon as soon as you finish the stage, if not during the latter stages of the race itself. 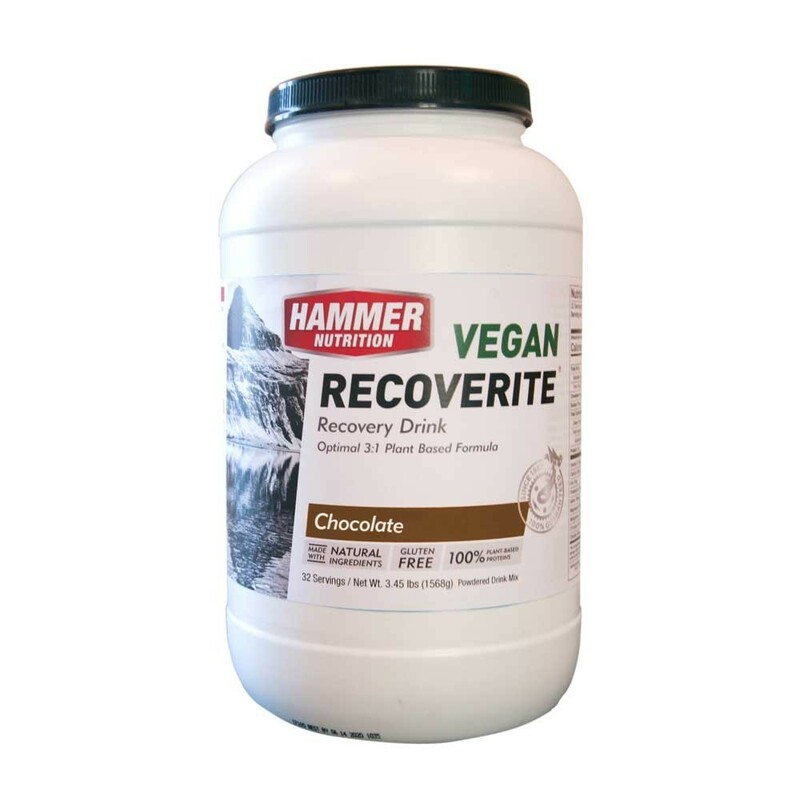 I use Hammer Recoverite to get carbohydrate and protein into my system within the “golden glycogen window” i.e. 30 minutes from the moment I cross the finish line. I often add some crushed flax seed for additional polyphenols / antioxidants and omega 3 and chia seeds for some additional omega 3, iron, magnesium and ALA (alpha-linolenic acid). Remember: The finish line is the start of your next race! Recently upped my training levels and paid a lot of attention to nutrition, hydration, stability, and strength exercises. Started to use the chocolate flavoured Recoverite on the advice of others, and found I felt so much more ‘ready to go’ at the following day’s training. Just finished an extended block of 6 out of 7 training days per week, and I religiously used Recoverite within 45mins of finishing. It helped my recovery and keeps me ready to go the following day. Great flavour and taste. 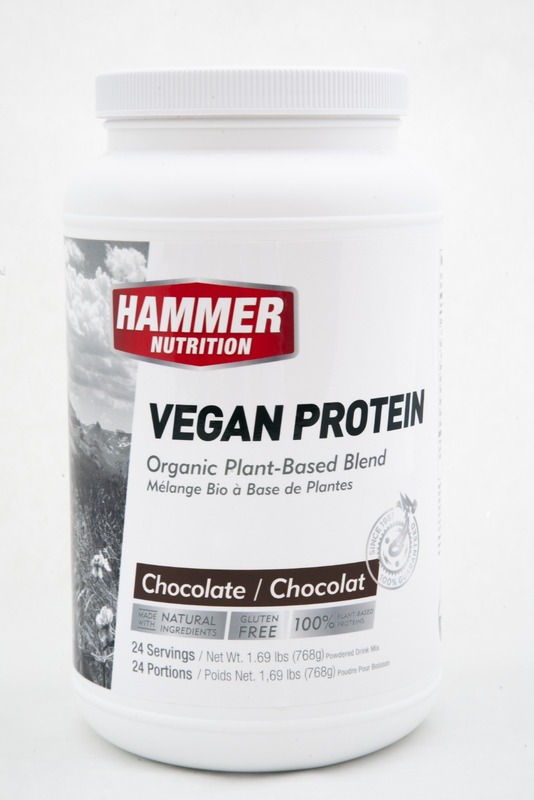 It’s now a must have in my Hammer products.